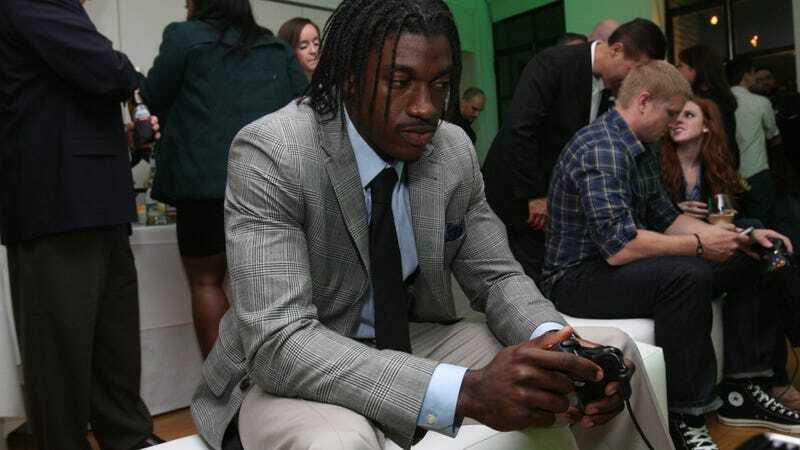 • In the picture above, the 2011 Heisman Trophy winner Robert Griffin III, widely expected to be taken second when the NFL Draft kicks off in 90 minutes, enjoys a game of Halo 4 at a Microsoft-sponsored VIP event in New York yesterday. • Madden NFL 13 will have a new broadcast team and presentation. You can get a look at Jim Nantz and Phil Simms in the booth, plus the game's new replay angles, developed in consultation with NFL Films, thanks to Pasta Padre's compilation of video highlights from the recent webcast of new features.